Ah, good old music festivals. One of the few times a year where you can shed your 9 to 5 alter ego and cut loose from reality surrounded by good people and even better music. From pictures, music festivals look like a walk in the park, when in reality, they can be one of the most exhausting and difficult trips of your life. The pictures don’t show people sleeping in the dirt or surviving off of apple juice and graham crackers, although those are some of the best memories. Luckily, we have a handful of tips and tricks that will help you get the most out of your music festival experience, so you can crawl out of your tent victorious when it’s time to pack up and leave. Check out the one rule that almost every festival attendee doesn’t feel bad breaking. If you’re camping at a festival, one of the most daunting tasks can be finding your camping spot after a long day in the festival grounds. While you may think you can find it during the day, you might end up completely lost once the sun goes down. 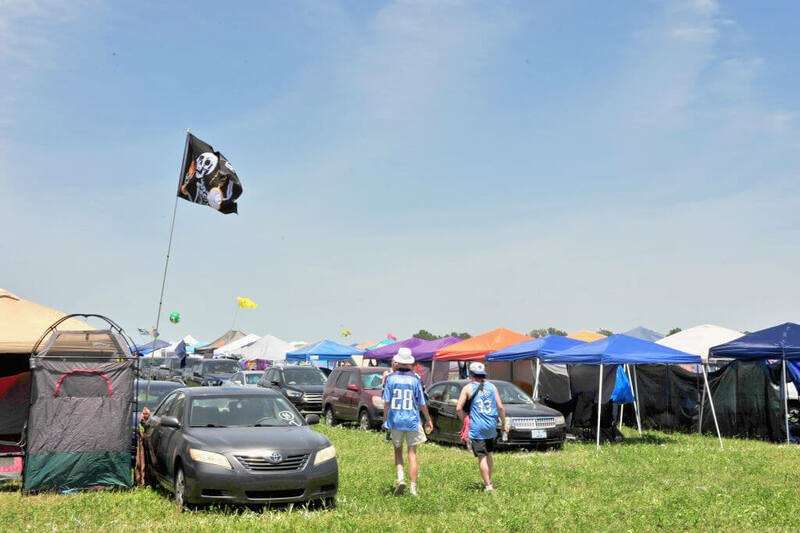 Some festival campgrounds are massive, and getting lost is easier than you think. To prevent this from happening, it’s crucial to have a flag or some sort of identifiable object that stands out where your campsite is. It’s also a bonus if it lights up, so that you can see it in the dark. Nobody wants to be wandering the campgrounds looking for their tent, trust me.